A Direct Support Professional will take care of people suffering from disabilities. The job description includes providing direct support and encouraging the patients in leading an independent life and also to stay integrated within their communities. 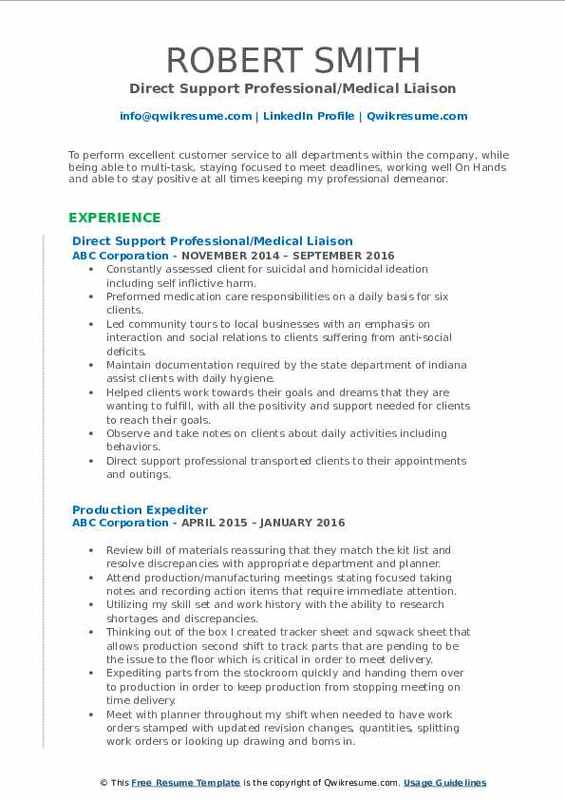 The major duties and tasks listed on the Direct Support Professional Resume include the following – ensuring development and training of participants, assisting or administering with prescribed medications, monitoring safety and cleanliness of participants, supporting the client in living an independent and productive life, and delivering individualized training and care for residents. Those possessing these skills can get qualified for this post easily – knowledge of CPR and first aid; social servicing skills, good driving record, ability to help patients with hygiene and medical routines, and availability to work shifts. A high school diploma or GED or a suitable equivalent education is mandatory for the job. Summary : Direct Support Professional with excellent people skills and dedicated work ethic. Excellent multi-tasker and demonstrated team player with a positive attitude and strong attention to detail. Willing and ready to expand and learn new skills. Resolved and clarified issues with patient medications and collaborated with local pharmacies. Directed patients in the prescribed range of motion exercises and in the use of braces or artificial limbs. Skills used patience, lots of various forms of paperwork each night, compassion, always being efficient with time. Objective : Flexible and hard working with the drive to succeed. Works above and beyond expectations. Seeking a role of increased responsibility and authority. 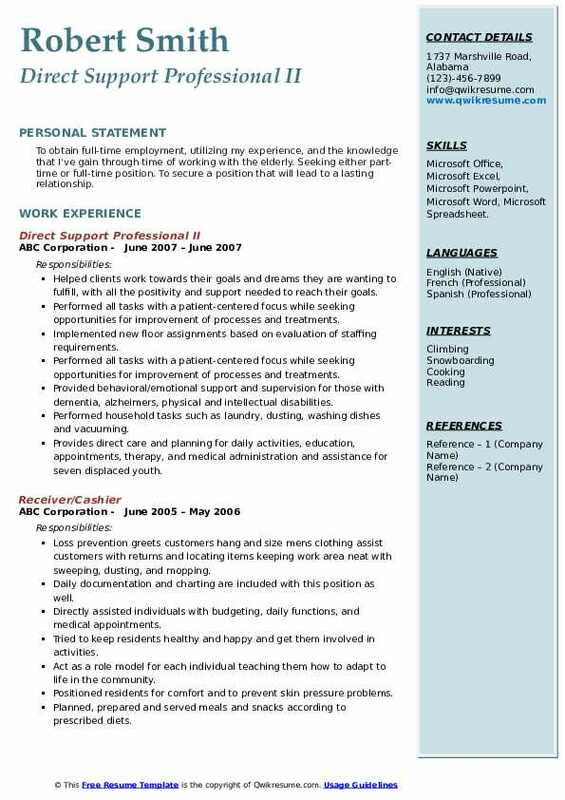 Seeking either part-time or full-time position. Assisted the doctor with 3 vasectomies, pap smears, ekg's, breathing treatments, and many other routine procedures and examinations on patients from birth to elderly. Provided patient chart documentation which was done through the prime care computer system, filing, updating patient's charts, scheduling appointments and procedures, phone service, interpretation, and delivery. Administer meds assist with chores assist with shopping and worked on independent living skills. Assisting out in the community, administering meds, and assisted with any other needs. Maintains a balance of activity and rest according to child development standards supports agency funding through personal donations. Supports each child to the best development level according to child development standards. Operates a home budget for seven displaced youth and two direct care workers. 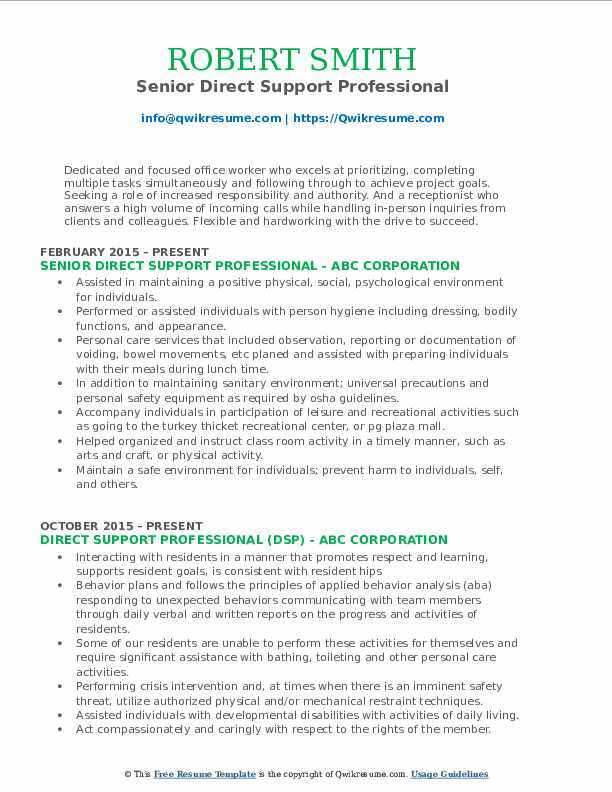 Summary : A highly maintained team player, 6+years-providing professional care to developmental disability individuals. Goal oriented with strong leadership capabilities. Proven the ability to work in unison with staff and the people being served. Friendly appearance, helpful attitude, as well as good interpersonal skills. Support the individual with personal care and daily routines, and in achieving outcomes from the individual support plan. Help service recipients become integrated with the community by ensuring that they are included, respected, valued and have a variety of preferred relationships in the community of their choice. Assure safe transport and accompany service recipients as needed to events, job sites, and medical appointments, utilizing company vehicles. Assist in providing activities of daily living support to persons who receive semi-independent living services. Ensure proper use of consumer and agency resources including, but not limited to consumer funds, vehicles, buildings, utilities, telephones, money, equipment, food, and supplies. Perform daily activities or teach service recipients to do so, such as activities of daily living skills and other personal skills that work toward achieving independence. Oversee storage and administration of medications, including transcribing prescriptions onto medication administration records. Keeps service recipients neat and clean with as much assistance from service recipient as possible. Objective : To perform excellent customer service to all departments within the company, while being able to multi-task, staying focused to meet deadlines, working well On Hands and able to stay positive at all times keeping my professional demeanor. Constantly assessed client for suicidal and homicidal ideation including self inflictive harm. Preformed medication care responsibilities on a daily basis for six clients. Led community tours to local businesses with an emphasis on interaction and social relations to clients suffering from anti-social deficits. Maintain documentation required by the state department of indiana assist clients with daily hygiene. Helped clients work towards their goals and dreams that they are wanting to fulfill, with all the positivity and support needed for clients to reach their goals. Observe and take notes on clients about daily activities including behaviors. Direct support professional transported clients to their appointments and outings. Objective : To obtain full-time employment, utilizing my experience, and the knowledge that I've gain through time of working with the elderly. 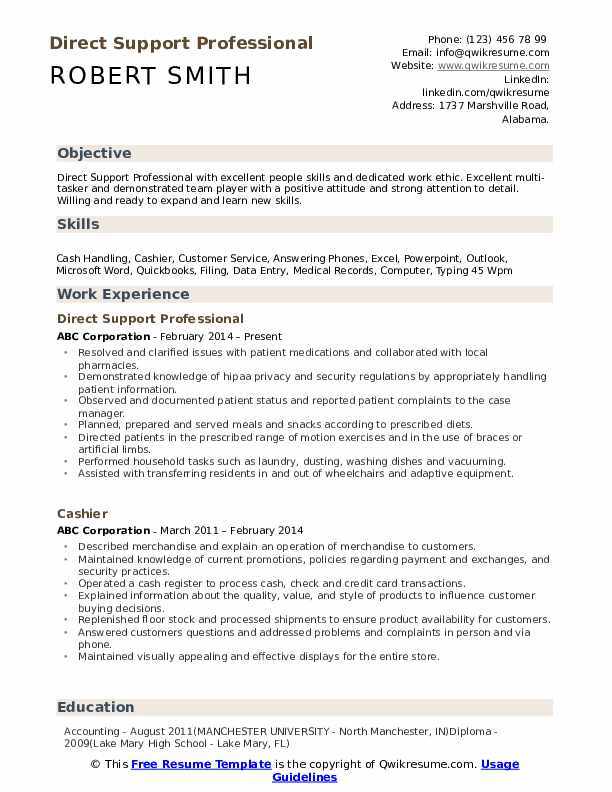 Seeking either part-time or full-time position. To secure a position that will lead to a lasting relationship. 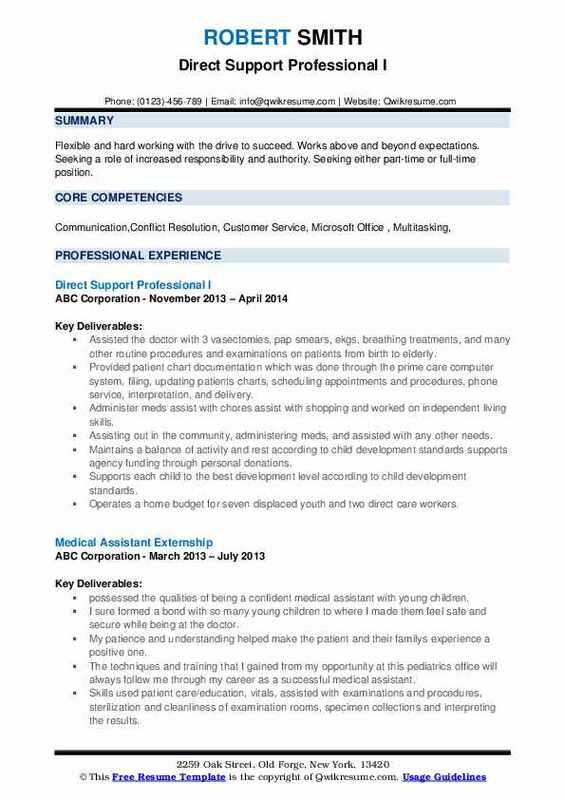 Skills : Microsoft Office, Microsoft Excel, Microsoft Powerpoint, Microsoft Word, Microsoft Spreadsheet. Helped clients work towards their goals and dreams they are wanting to fulfill, with all the positivity and support needed to reach their goals. Provided behavioral/emotional support and supervision for those with dementia, alzheimer's, physical and intellectual disabilities. Provides direct care and planning for daily activities, education, appointments, therapy, and medical administration and assistance for seven displaced youth. Supported disabled people to be active and involved members of their communities. Summary : To obtain employment, while working as a member of an enthusiastic team. 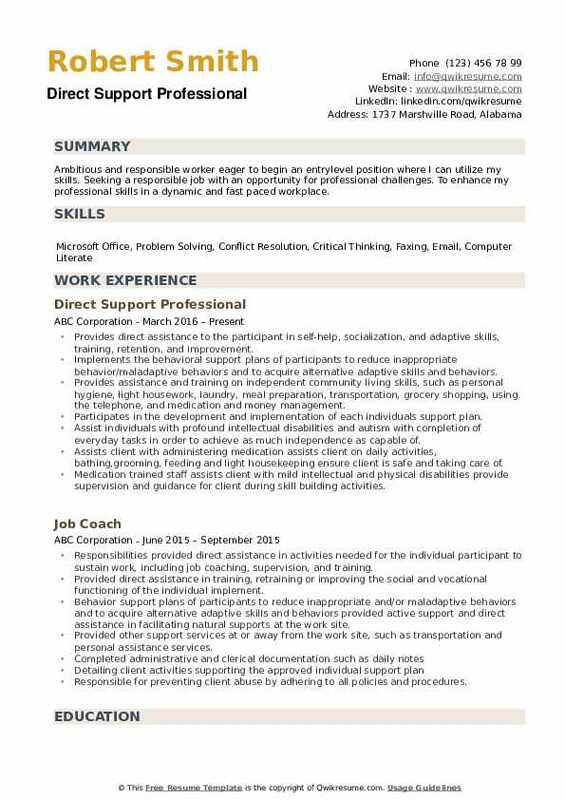 To pursue a position that will utilize my technical and people skills. Objective is to find a job that is challenging and rewarding at the same time. Assisting, supporting and instructing children and adult in self-help skills designed to encourage independence and modify behavior. Providing quality care and motivation to children in the day program and adult in the residential environment. Provides supports to people by assisting in the development and implementation of all support plans, including spiritual life supports. Assisting people in achieving their personal goals and desires, providing interaction and choices for activities that support a meaningful day. Supporting people to be independent in activities of daily living assist a client with maintaining a clean, safe, and orderly home by following safety and infection control procedures. Maintains and expands skills and knowledge relevant to providing high-quality support and services. Maintains open communication and cooperative work effort with lead dsp and other staff to assure quality and continuity of support to people we served. Reports and/or documents routine and unusual events including completing daily logs, accident reports. Willing to learn and accept constructive criticism, highly motivated for career advancement, enjoy contributing to a team environment and help create a pleasant, clean working environment. Objective : Dedicated and focused office worker who excels at prioritizing, completing multiple tasks simultaneously and following through to achieve project goals. Seeking a role of increased responsibility and authority. And a receptionist who answers a high volume of incoming calls while handling in-person inquiries from clients and colleagues. Flexible and hardworking with the drive to succeed. 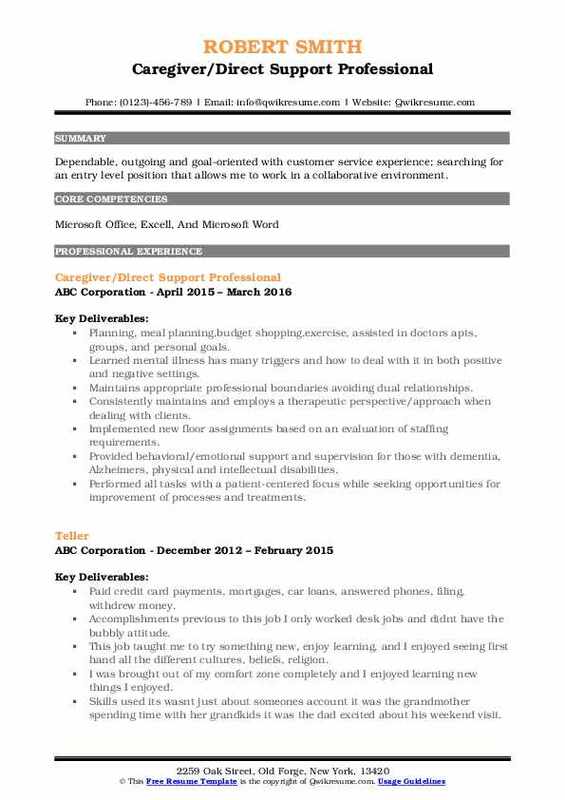 Skills : Knowledge Of Microsoft Word, Excel, WordPerfect And PowerPoint , WPM 60-80, Copy, Scanning, Faxing. Assisted in maintaining a positive physical, social, psychological environment for individuals. Performed or assisted individuals with person hygiene including dressing, bodily functions, and appearance. Personal care services that included observation, reporting or documentation of voiding, bowel movements, etc planed and assisted with preparing individuals with their meals during lunch time. In addition to maintaining sanitary environment; universal precautions and personal safety equipment as required by osha guidelines. Accompany individuals in participation of leisure and recreational activities such as going to the turkey thicket recreational center, or pg plaza mall. Helped organized and instruct class room activity in a timely manner, such as arts and craft, or physical activity. Maintain a safe environment for individuals; prevent harm to individuals, self, and others. Assist and document the development and implementation of long and short-term goals for individuals. 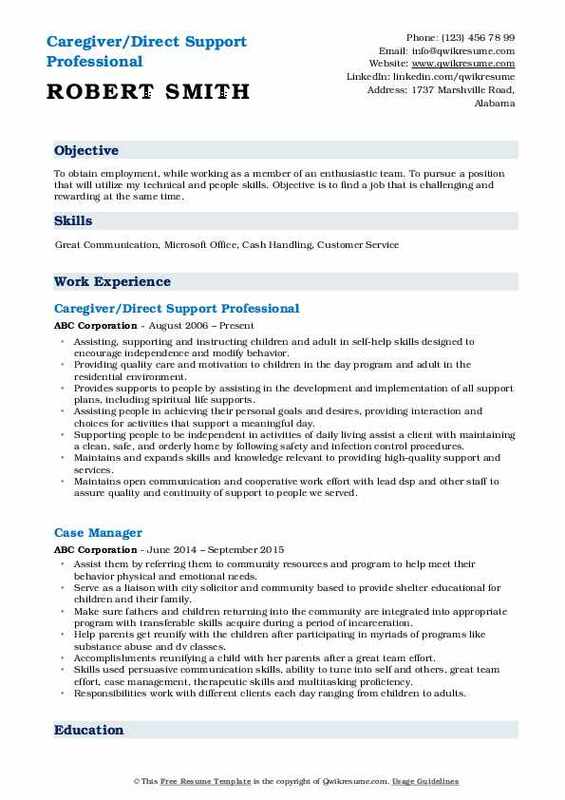 Objective : Dependable, outgoing and goal-oriented with customer service experience; searching for an entry level position that allows me to work in a collaborative environment. Planning, meal planning,budget shopping,exercise, assisted in doctors apts, groups, and personal goals. Learned mental illness has many triggers and how to deal with it in both positive and negative settings. Maintains appropriate professional boundaries avoiding dual relationships. Consistently maintains and employs a therapeutic perspective/approach when dealing with clients. Implemented new floor assignments based on an evaluation of staffing requirements. 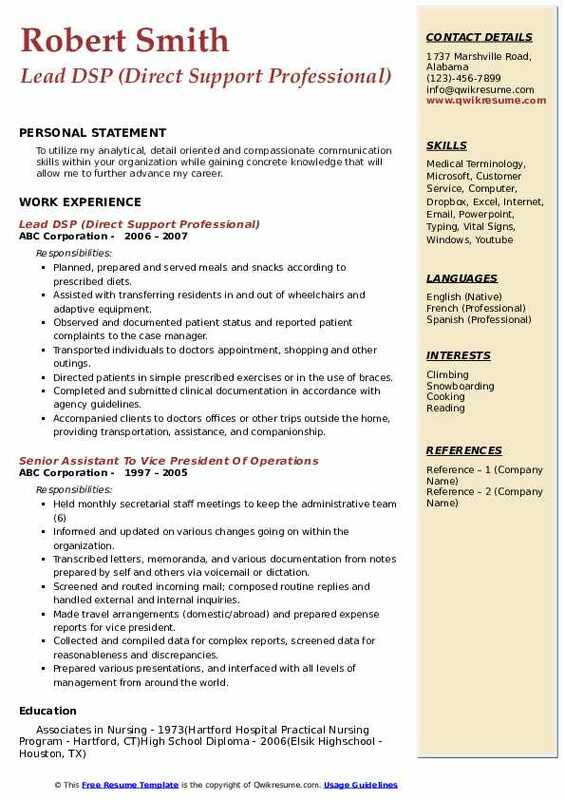 Summary : To utilize my analytical, detail oriented and compassionate communication skills within your organization while gaining concrete knowledge that will allow me to further advance my career. Transported individuals to doctors appointment, shopping and other outings. Directed patients in simple prescribed exercises or in the use of braces. Accompanied clients to doctors offices or other trips outside the home, providing transportation, assistance, and companionship. Consistently followed personal care plans for each client while assisting them in completing goals set forth by counselors,parents,and staff. 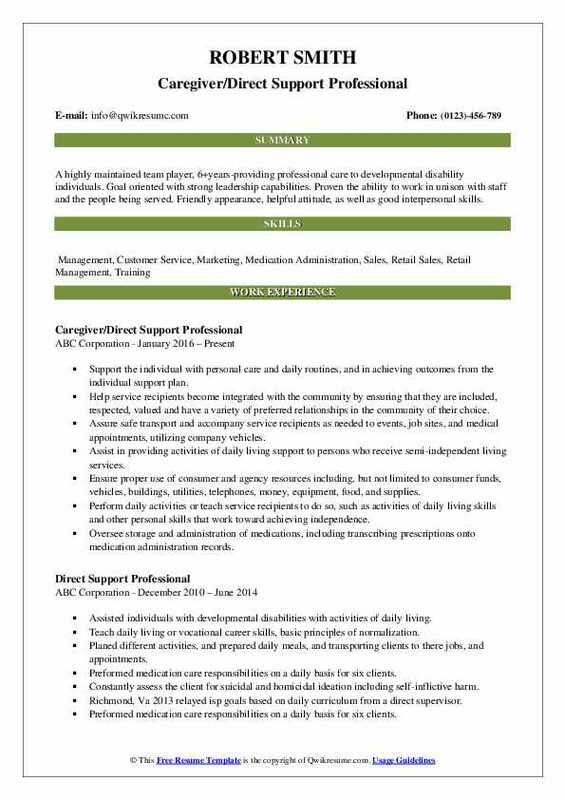 Objective : Ambitious and responsible worker eager to begin an entrylevel position where I can utilize my skills. Seeking a responsible job with an opportunity for professional challenges. To enhance my professional skills in a dynamic and fast paced workplace. Provides direct assistance to the participant in self-help, socialization, and adaptive skills, training, retention, and improvement. Implements the behavioral support plans of participants to reduce inappropriate behavior/maladaptive behaviors and to acquire alternative adaptive skills and behaviors. Provides assistance and training on independent community living skills, such as personal hygiene, light housework, laundry, meal preparation, transportation, grocery shopping, using the telephone, and medication and money management. Assist individuals with profound intellectual disabilities and autism with completion of everyday tasks in order to achieve as much independence as capable of. Assists client with administering medication assists client on daily activities, bathing,grooming, feeding and light housekeeping ensure client is safe and taking care of. Medication trained staff assists client with mild intellectual and physical disabilities provide supervision and guidance for client during skill building activities.